Mubashir G. Kazi is the founder of KIG, a defense & security technology investment and consulting firm based out of California. He has over 25 years of global experience with governments and Fortune 500 companies (3M, Exxon & Xerox) in the areas of engineering, security, Information Technology and program management. Mr. Kazi holds graduate and post-graduate degrees in Engineering from McGill University in Montreal, Canada and has extensive post-graduate research and training in Advanced Project, Risk Management and Program Management skills specific to the fields of engineering and technology management from Stanford University. Mubashir has also served as a management consultant on several security programs around the world (Qatar, Israel, UAE, Pakistan, Afghanistan and USA). His expertise includes national border security, counter narcotics technology development & deployment, engineering management, cyber security training and international program management. Mubashir was the Architect and Program Manager supervising the design, management and execution for a program involving the deployment of several thousand personnel for the development of a National Data Repository, Border Security, Machine Readable Passport and Electronic Voter Registration system for the Ministry of Interior, Government of Pakistan. Mubashir has architected the creation of one of the largest citizen data repositories and overseen the national census data gathering initiative to document over 100 million individuals. Mubashir has also oversaw IPO’s of his past entrepreneurial efforts in the technology & security sectors. 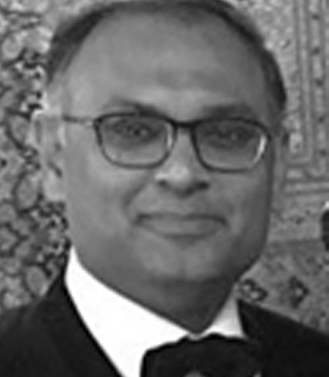 Mubashir is a certified Program and Risk Manager who offers invaluable practical insight and contacts in several regions around the globe however his exposure in the AfPAK, Central Asian and Northern African regions is unparalleled. Mubashir is an avid polo and squash player who has represented US polo at various international polo tournaments along with raising several million dollars at charity polo events around the world for worthwhile causes including relief programs for Hurricane Katrina and medical / education programs aimed at helping children in Africa & South Asia.